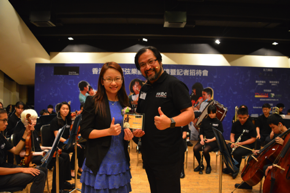 Hong Kong Blind Orchestra started at late 2016, while 10 July 2017 was our opening ceremony and press conference. Here are some highlights of the ceremony. All materials are all Rights Reserved by Hong Kong Blind Orchestra. Copy, Digitize, Transfer, Publish or Storage without Hong Kong Blind Orchestra written permission is strictly prohibited and must cause legal liability.